Normed near algebras through semi-linear maps South-East Asian Bulletin of Mathematics. Near Relatives of Semi-linear maps South-East Asian Bulletin of Mathematics. Gamma near fields and generalized gamma near fields. *ANU Journal of physical sciences vol3-No-1. A characterization of Subtraction groups. *ANU Journal of physical sciences vol3-No-2. On Embedding a Semi group in a group. – Communicated to Resonance Journal of Science Education. Participated in two day National Workshop on “Emerging &Challenging Research Issues in Information Technologies” during 5th & 6th Dec 2009 at BITS Warangal. Participated in two day National Workshop on “Mobile Ad-hoc Networks: Issues and Challenges” during 10-11 January 2008 at Department of CSE, Osmania University. Participated in two day National Workshop on “Data Mining” during 15-16 May 2008 at Department of CSE, Osmania University. Participated in two day National Workshop on “Mobile Computing” during 5th – 6th June 2008 at Department of CSE, Osmania University. Participated in the one day faculty development training program on “Effective Methods of Teaching” organized by Insistute of Public Enterprise(IPE) Hyderbad, held on Saturday, on 18/08/2012 at Hyderbad. 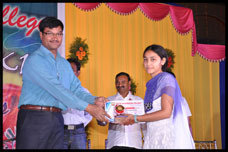 Has participated / presented a paper titled “SEMANTIC WEB FOR THE ENTERPRISE” in the NATIONAL CONFERENCE ON SOCIAL NETWORKING held on 16th & 17th of March,2012. Has attended the conference on “ICONSEA-2014” (INTERANATIONAL CONFERENCE ON NANO SCIENCE AND ENGINEERING APPLICATIONS) on 26th,27th, & 28th June,2014 at Hyderabad. Participated in “MENTORING SKILLS AND THINKING SKILLS FOR ENGINEERING FACULTY” on 18th & 19th July, 2014 JNTUH Hyderabad. 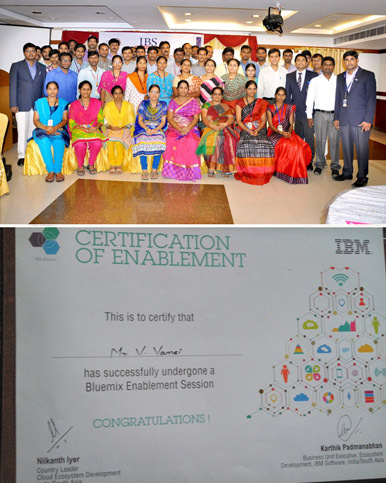 Attended workshop organized on “SYSTEM INTEGRATION” by MICROSOFT AND IEG JKC on 20th February,2014 at SBIT Khammam. Participated in FDP on “EFFECTIVE METHODS OF TEACHING FOR ENGINEERING FACULTY” on 1st September, 2013, at OU Campus, Hyderabad. Participated in one day FDP on “EFFECTIVE METHODS OF TEACHING FOR ENGINEERING FACULTY” on 1st September, 2013 at OU Campus, Hyderabad. 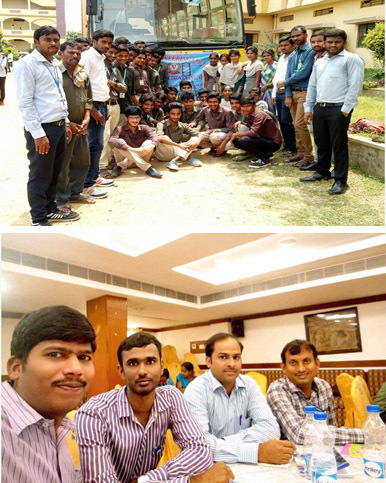 Participated in the National Conference on “NETWORKING AND INFORMATION TECHNOLOGY” on 12th & 13th October, 2013, at ANNMACHARYA INSTITUTE OF TECHNOLOGY & SCIENCES, KADAPA. SYSTEMS” from 07-01-2014 to 11-01-2014. Participated in one day FDP on “EFFECTIVE METHODS OF TEACHING” on 18th August, 2013, at OU Campus, Hyderabad. Participated in FDP on “EFFECTIVE METHODS OF TEACHING FOR ENGINEERING FACULTY” on 14th October, 2013 at OU Campus, Hyderabad. 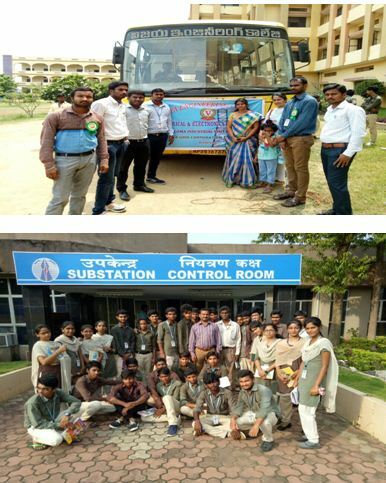 Department of ECE has organized various co-curricular programs including Workshops, Expert lectures, technical festivals and Industry visits.Experts from various reputed Institutions, Industries, and Research & Development organizations were invited for giving expert lectures to enhance student’s knowledge. Industry based learning through Shadow Engineering and corporate exposure’ is being provided continuously to the students. external examinations, regularity to the classes, any other problems etc. that helps in motivating the student. If any one of student absent, the message will be passed to their parents every day. 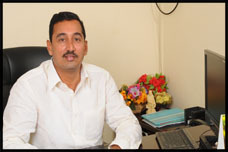 The ECE Department Association organizes State Level Technical Symposium and Seminars every year. This enables the students to enhance their leadership skills and also to know the Latest Developments in their interested fields. 2.Visited department students ISRO , Sriharikotta two times as part of technical tours in 2013 & 2015. 3.Department faculty supported to execute Live Projects FM Radio 95.8 MHz, Live and dynamic LED display ,Little Robot. 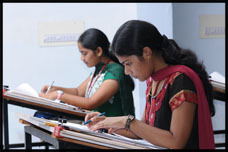 The ECE Department provides a holistic environment for the overall development of the student. 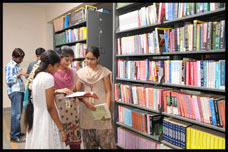 It is equipped with state of art equipment and has dedicated faculty with an average experience of over 5 years. The students of department secure Top percentages and have set the highest record for campus placement Offers. With a very active ISTE Student Chapter and Robotics Club the department has achieved international and national level awards and trophies. 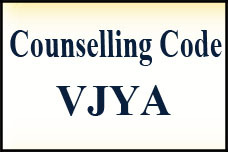 In Vijaya engineering college for the eee department encourage to our student for both academic and non academic areas. 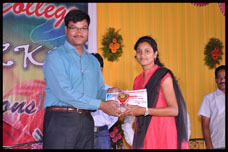 We organize and participated in our college events and also participated outside college fests and technical events. we succeed for that various situations. 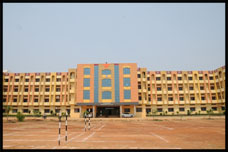 And our institute regularly provides the industrial visits for various reputed industries in india. Has attended the training Programme in JKC for a week.